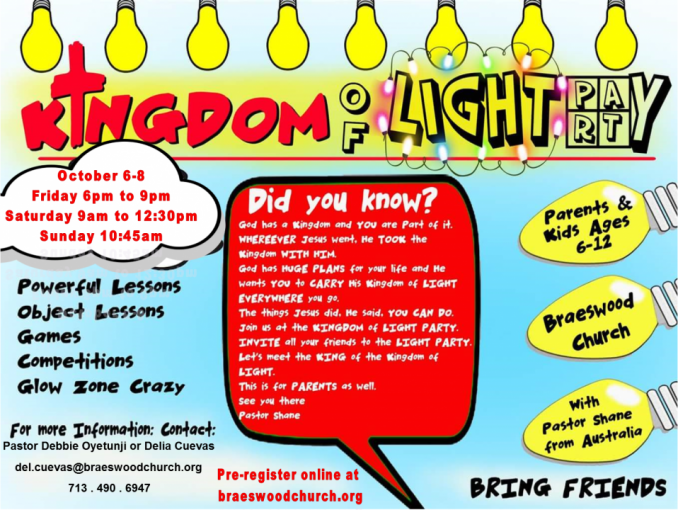 Pre-register for the Family Weekend happening at Braeswood Church on October 6th and 7th! Parents and kids ages 6-12 are all welcome to attend! It will be a weekend filled with powerful lessons, games, giveaways and fun!